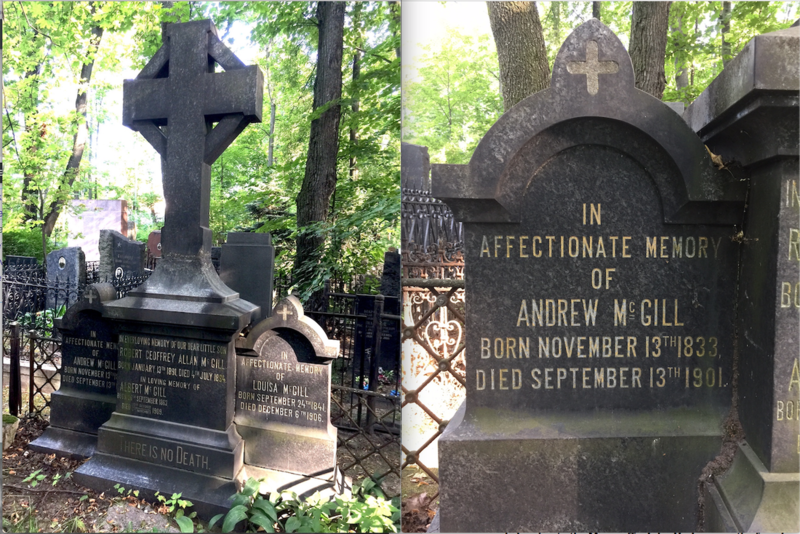 The McGill family in Moscow is mostly known for Robert and Jane McGill who donated the most significant amount of money for the construction of St.Andrew's Anglican Church in Moscow. Robert McGill was a church warden in 1882, when the construction of St.Andrew's, completed in 1884, just began. Robert and Jane McGill didn't have any children. No photographs of them could be found, and while we can see Robert's bas-relief on his tomb in Vvedensky cemetery, no image of Jane is available. Her life ended tragically in 1918 when she was 86 years of age, in the middle of revolutionary events that led to her being thrown out of her own house in the middle of January. She was recognised by the people who knew her and brought to... - and here there are two different versions - either to the parsonage or to St.Andrew's House, the hostel for English governesses which she herself had built. She died soon afterwards. 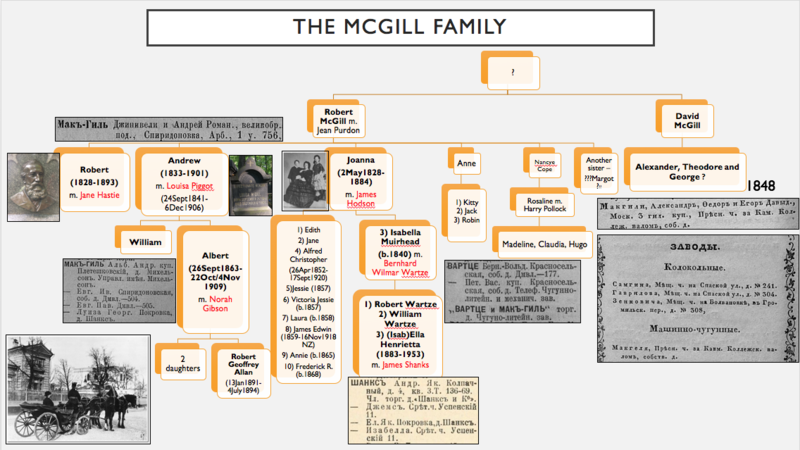 Just like any other British Family living in the 19th century Moscow, the McGill family was related by marriage to several other British families: the Hasties, the Bowes (through the Piggots), the Hodsons, the Gibsons, the Shanks, and the Wartzes. The following information comes from a letter written by Alfred Hodson (son of Joanna McGill and James Hodson) to his son Leopold, dated Manchester England April 2, 1920, outlining the Hodson Family's participation in the cotton industry in Russia. The letter can be found here. It looks like the first McGills that came to Russia were two brothers: Robert (senior) and David. They came from near Glasgow, most likely near Paisley around the late 1840s. David McGill started the first foundry and mechanical works in Russia. In the 1848 Moscow Address Book we see the following information: McGill's foundry and mechanical works. Presnenskaya area beyond Camer-Collegesky Val (which was then the customs boundary of Moscow), their own house. In other sources, though, we find some information that takes us back to the 1820s and 1830s. 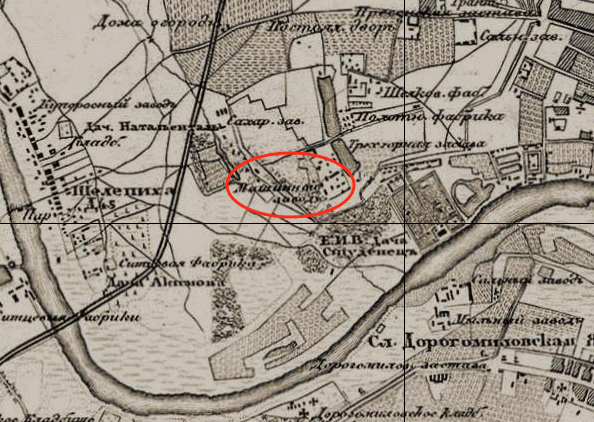 In the History of Moscow Merchants Society 1863-1913 we see a reference to the 'house of a foreigner McGill' in Chernogryazskaya Sloboda of Presnya as early as February 1839. 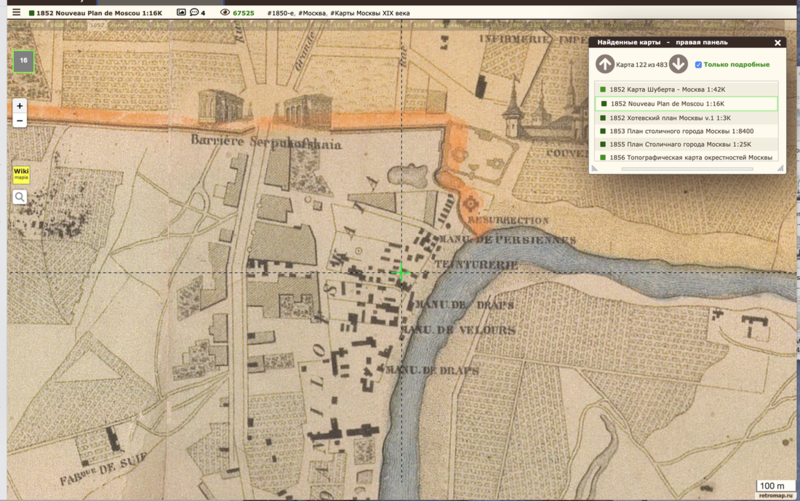 It is the same area as the one mentioned in the Moscow Address book of 1848. ​In Industrial Revolution in Russia in the 19th Century by A.M.Soloviova we find out that E.D.McGill (which would correspond to Egor/George, son of David), an English mechanic, from 1821 to 1832 worked at the state-run Alexandrovsky Works (in St.Petersburg). Then he moved to Moscow where he started a repairs shop and later a mechanics shop for the manufacturing of spare parts and other technical equipment for the Moscow textile factories. This enterprise was located in Presnya and in the early 1840s had two steam engines which were made at the same place. A.M.Soloviova quotes a document on the number of machines produced by the mechanic McGill for different factory owners in Moscow from 1833 to 1842. According to this document, about one thousand different machines were made for such Russian industrialists as the Guchkovs, Prokhorovs, Alexeevs, Nosovs, as well as Lepioshkin, Baburin and Shchapov. 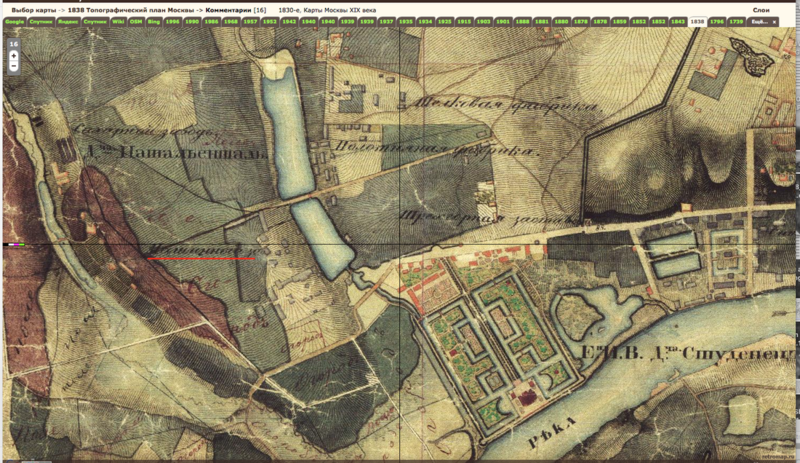 McGill's Works also supplied factories around Moscow: Prince Golitsyn's factory in Ramenskoe, Rimsky-Korsakovs' factory in Kaluzhsky district, O.I.Miller's factory in Zvenigorod district, and the Shepeliovs' factory in Vyksa. McGill's Works also had government commissions to produce the water-running equipment for the Kremlin Palace, Moscow University, Medical and Surgical Academy, Military Hospital and many other places. In the mid-1840s, however, A.M.Soloviova points out, McGill's Works couldn't compete with the imported English machines and started losing profits. In the early 1850s McGill closed his enterprise and started a textile/cotton-spinning factory. 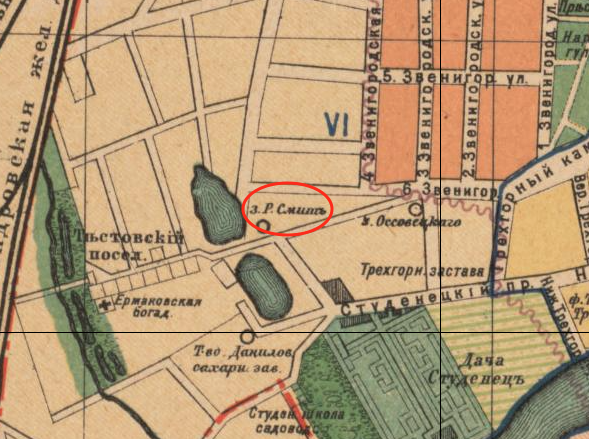 The fact that in 1878 the Machine-building factory is still there doesn't reflect A.M.Soloviova's information, according to which the factory was closed in the early 1850s. At the same time, I was unable to find any other information on David McGill and his sons. It may very well be that they moved back to Britain. It is also interesting that the Smith's Boiler Works founded in 1856 was located practically at the same place: to the east of the northern lake. Robert McGill (senior) was the founder of Morozov's factory in Orekhovo-Zuevo. Afterwards, he also founded the Borisovsky Brothers' Mill in Pereslavl-Zalessky. Robert McGill senior is not buried at Vvedensky cemetery, so it is possible that he retired to Britain. Robert McGill (senior)'s eldest son, also Robert McGill, was employed in De Jersey's Office Blackfriars, Manchester. This firm represented Messrs.Platt Bros., the famous machine manufacturing company in Oldham Lancashire, and they were also export agents. As the cotton business increased in Russia, it was necessary to have an agency there, and Robert McGill (junior) was sent out along with a German merchant Ludwig Knoop, to Russia, to push the business. (In other sources ("The European Economy, 1750-1914: A Thematic Approach" by Derek Howard Aldcroft, p. 237) it is said that by 1847 De Jersey, specialising in yarn and machinery export to Russia, went bankrupt, and Ludwig Knoop (who was their apprentice) effectively took it over, together with the Russian agency for Platt Brothers.) Once in Russia, their enterprise became practically a monopoly, Ludwig Knoop was the finance man and Robert McGill was the practical man and advisor to the future Russian Cotton Spinning Manufacturers. Any merchant wishing to go into the Cotton Business, had nothing to do but got to Messrs Knoop & McGill agency established in Moscow and the factory would be built for them, filled with machinery and even supplied with the raw cotton. This went on for some time before other competitors came into the field. Robert McGill (junior) owned several other enterprises, some of them in partnership with Ludwig Knoop and other merchants, some of them on his own. Together with his wife Jane McGill (born Hastie) they were the backbone of the British community in Moscow and some of the richest among the other British people living in Moscow. Here and there, in Moscow and around it one can find places connected with their name. 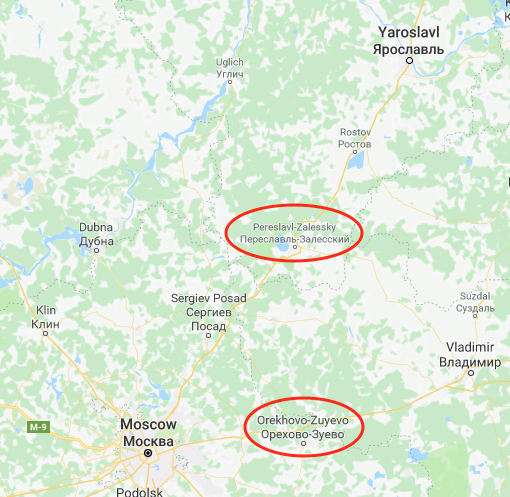 One of them is a Cotton spinning factory in Vysokovsk near Klin, north of Moscow. In 1879, Robert McGill together with his brother-in-law Charles Hastie, Ludwig Knoop's son Theodor and another German industrialist Johanne Prove, became partners with the original owners of the factory G.L. Kashaev and I.V. Vasiliev, whose financial situation at the moment was critical. The new partners became the actual managers of the factory, and the enterprise started growing fast. While Knoop and Prove lived in Moscow and rarely came to Vysokovsk, Charles Hastie and the McGills owned a house in Vysokovsk. This house still exists, although in a very poor state. Local librarians were trying hard to preserve it. They even made a plaque that said "Vysokovsk's oldest building. 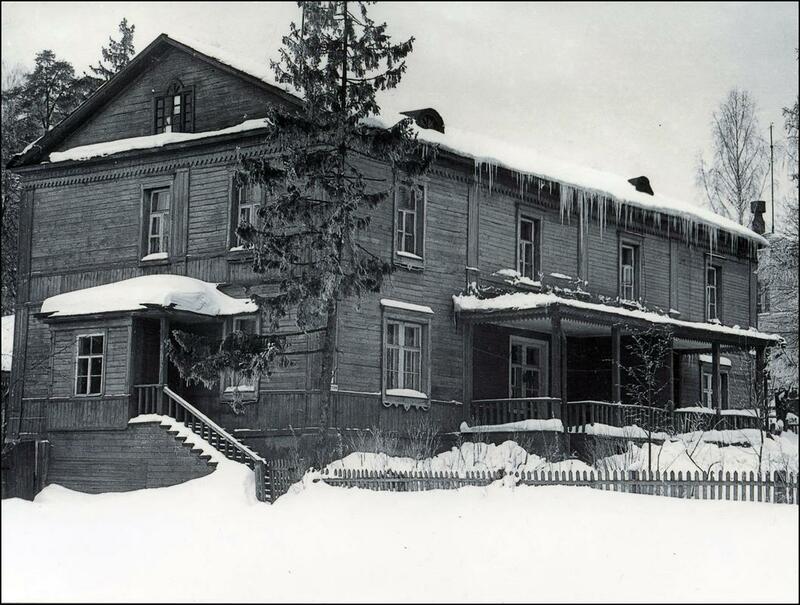 One of the founders of Vysokovsk Factory, Roman Romanovich McGill lived here in the 1870s ". Roman Romanovich was Robert McGill's russified name. It is difficult to say, how many buildings that were built during the times when Robert McGill was one of the managers of the Factory, or built by his widow Jane McGill after his death are still there. Before I can go to Vysokovsk, I can only rely on the pictures that I have found on the Internet. And here are some of them. The following information comes from this lovely book compiled by the librarians in Klin. This is a school for the children of the workers of the Factory that was built in 1896-1898 by Jane McGill. It was a 2-year school, both for boys and girls of all ranks and confessions not younger than 8 years old. The school was free, students were also provided with textbooks and uniforms. Jane McGill was the school's patron and discussed all the educational issues with the teachers. Below on the right you can see the plaque that says: VYSOKOVSK SCHOOL. Built in 1896 in memory of the Vysokovsk Factory Partnership's founder Roman Romanovich McGill by his widow. The following pictures were taken from this group. Some of the buildings and constructions in Vysokovsk bear the traits of other buildings that were built by Jane McGill in Moscow. This gate, for example, looks very much like St.Andrew's gate in Moscow, although it is much bigger. 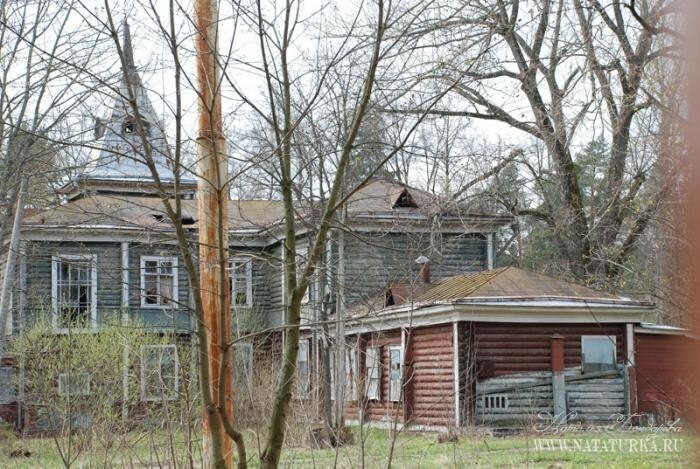 Another place connected with their name is their large estate with a manor house in Bakovka, that was demolished in 2009. The following information and the photo above come from this website. Jane McGill built this estate after the death of her husband in 1894-1897, not far from the railway platform "20th Versta". It was a two-storeyed building in Art Nouveau style. To get to the estate, she built a road which was named Magilevskaya - after her name: McGill. In 1938 the road was renamed into Budennovsky Shaussee. The Last owners of the estate were the Dumnov family. A pond on the territory of the former estate is still called Dumnovsky pond. In 1920, a Neuropsychiatric colony was opened in the estate.